In what may be a Knesset first, MK Katz asks his party to move him from first place to seventh. 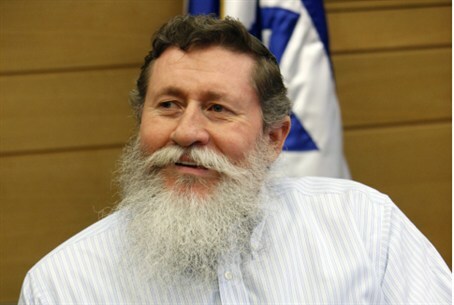 In a highly unusual move for the political world, MK Yaakov “Ketzaleh” Katz, currently first in the Ichud Leumi (National Union) party, has asked to be moved down to seventh place on the party list. The change would put him in place 13 or 14 after his party’s anticipated merger with the Habayit Hayehudi (Jewish Home) party. Sources close to the MK said his move was intended to show his faith in the planned merger to bring wider religious-Zionist support. Polls have shown that a united religious-Zionist party could win up to 15 seats. Currently Ichud Leumi has four Knesset seats, and Habayit Hayehudi has three. Ketzaleh also asked that the first six seats on the list go primarily to those of Middle Eastern origin, a request apparently aimed at increasing diversity within the party and giving representation to a broader range of communities. Ichud Leumi’s Knesset list is selected by party leaders. After choosing a list, the party will wait for the results of primaries in the Jewish Home party before working to assemble a joint list.